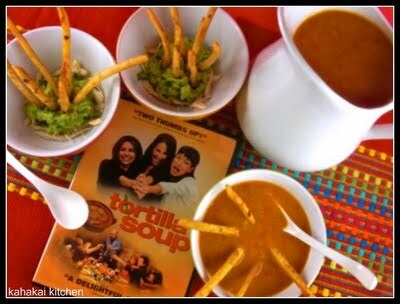 It's time to roundup all the inspiring dishes that we gathered from watching TORTILLA SOUP! 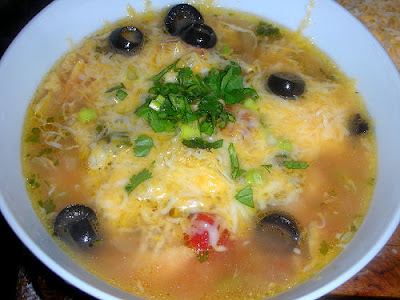 AmiNYC says "This soup comes together so quickly, you’re done almost as soon as you start. Everything in one pot, everything at one time. Can’t possibly be easier than that." 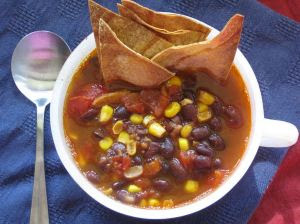 Check out her delicious Tortilla Soup with toasted spices I can almost smell from here over at From the Bookshelf. Glennis of Can't Believe We Ate brings us Christina's World Famous Tortilla Soup, of which she says "Seriously yum...this is one of the very best Tortilla soups I’ve ever had. So far." 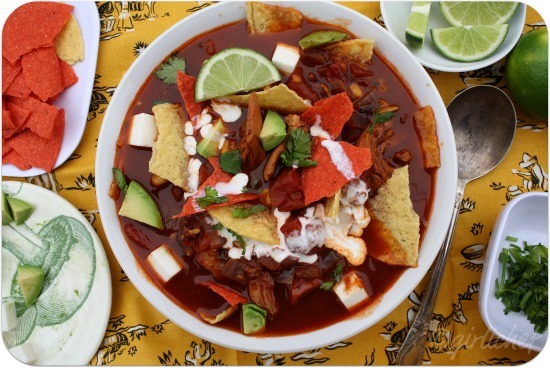 Inspired by Carmen's Nuevo Latino style of cooking, Deb from Kahakai Kitchen decided to make some beautiful "arty" bowls of Tortilla Soup. Not only was it tempting to the eyes, but also satisfying and delicious in the belly. I'm loving the guacamole in the bowl. So fun! Trying my first version that was actually sort of sweet and laced with cinnamon over at All Roads Lead to the Kitchen; I loved the deep red satisfying broth in this Ancho Chicken Tortilla Soup. Remember, Food 'n Flix is going ON THE ROAD! I will be hosting the first traveling edition over at All Roads Lead to the Kitchen.